Southern Italy—Sicily, Puglia, Basilicata, Calabria, and Campania—has always fascinated me both for its roots in Mediterranean history and for the way this Mezzogiorno region represents Italian cuisine in purezza, at its authentic best, with deliciously simple pasta dishes, great pizzas and focaccias, a healthy array of Mediterranean seafood, and an incredible garden of vegetables. Plus the legumes (fava beans, chickpeas, lentils) that are the foundation of the cuisine and the tender lamb, chicken, and pork dishes that make celebration meals. So much of what we in North America think of as “Italian” food in fact comes from this very region, as emigrants over the centuries have brought its delights to our shores. Most Italian-American cooking derives from southern Italian fare, yet few cookbooks offer the parent cuisine in all its delicious variety. 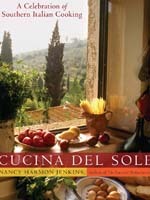 Nancy Harmon Jenkins’s Cucna del Sole does so expertly. A collection of 200 approachable recipes from Sicily, Calabria, Bastilicata, Puglia, and Campania, the dishes include the likes of Pasta with Tomato and Toasted Almond Pesto; Swordfish in Lemon Caper Sauce; and Slow-Cooked Lamb with Wild Mushrooms. 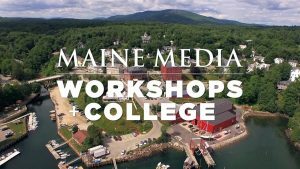 There’s a comprehensive section on breads, pizza, and calzone, and a brief but attractive chapter of desserts, such as ricotta tart, Frozen Coffee Pudding, and, of course, cannoli. Good ingredient notes and traveler’s advice are present, too. 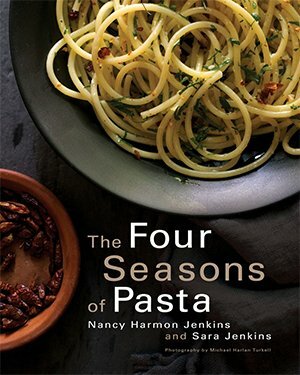 In her other books, including The Essential Mediterranean, Jenkins offers not only mouth-watering formulas, but pertinent context; the book is also rich in “backstories” like Sicilian Savory Pies, and Pizza in Napoli. 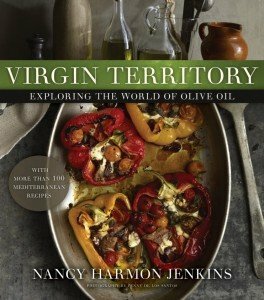 Because Jenkins has a journalist’s eye and scholar’s curiosity, not to mention a cook’s know-how, her book also makes good, informative reading.